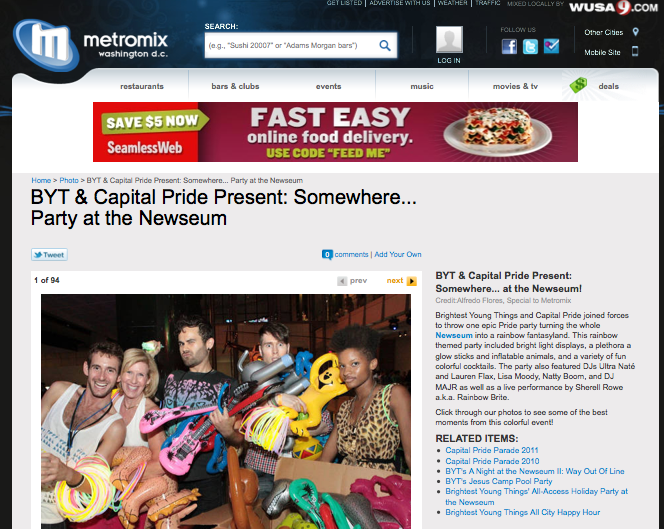 Brightest Young Things and Capital Pride joined forces to throw one epic Pride party turning the whole Newseum into a rainbow fantasyland. 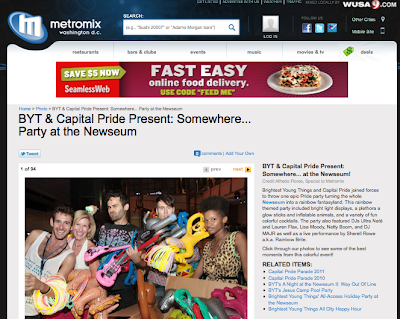 This rainbow themed party included bright light displays, a plethora a glow sticks and inflatable animals, and a variety of fun colorful cocktails. The party also featured DJs Ultra Naté and Lauren Flax, Lisa Moody, Natty Boom, and DJ MAJR as well as a live performance by Sherell Rowe a.k.a. Rainbow Brite.